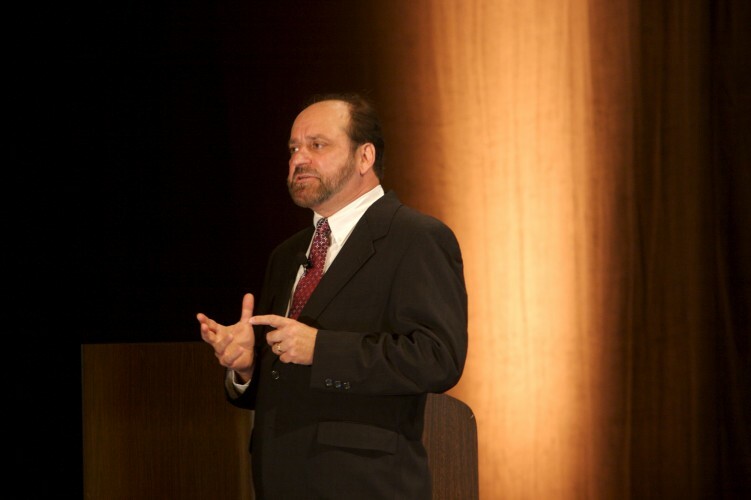 As a Professional Keynote Speaker as well as in his work with clients as an Innovation and Strategy Expert, Executive Adviser and Facilitator, he has over the years developed a very simple, yet extremely effective business philosophy to guide his work with clients. Given the widely diverse nature of the firm's clientele who utilize John's complex business problem solving capabilities and professional speaking and facilitating skills, it is necessary to define these divergent services in terms of a consistent value proposition for the client. To achieve this goal and also in order to establish a metric against which to evaluate the firm's performance, he has developed the following two foundational criteria. Business Method: Provide the highest quality professional services and products in an effective, efficient, highly responsive and timely manner to clients who value superior quality and success. To John, client success is defined as achieving breakthrough thinking which leads to consistently high ROI. Selling Proposition: We will always concentrate on providing the greatest value proposition for our clients, rather than focusing on cost or price. In so doing, we will direct our efforts toward delivering creative solutions that are unique and highly innovative, while seeking to maximize their synergistic impact. Synergistic being defined as: “The combined power of multiple actions or activities which together achieve a greater total outcome than by discrete actions alone.” — ORIGIN from Greek sunergos ‘working together’. From decades of serving clients globally, ranging from Fortune 100 to start-ups as well as not-for-profits and government agencies, John knows that a client / professional service provider relationship that is based upon delivering maximum VALUE will best serve both parties' interests. Although some emergency circumstances occasionally call for 'temporary quick fix solutions,' focusing on sustainable, long term innovative solutions to maximize strategic opportunities and solve complex problems is the only way to establish market leadership. John is committed to helping our clients become market leaders!